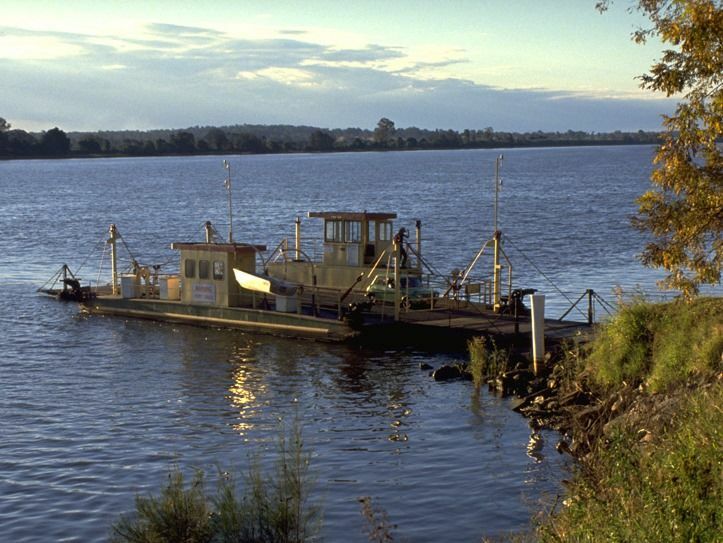 Ulmarra is an historic port on the Clarence River which has been held in aspic. Historic buildings, a river ferry and an antique charm all make it a rare opportunity to to a time when the river was the vital transport route in the district. Ulmarra is located on the deep channel side of the Clarence River. It is almost bypassed by the Pacific Highway. Certainly the appeal of the town lies just one block to the west of the Highway. The buildings in River Street and Coldstream Street create an image which is redolent of the town's past as a 19th-century river port. So convincing is the historic authenticity of the buildings that the Commercial Hotel was used in the 1987 television mini-series Fields of Fire as a 1929 Queensland pub when, amusingly, it was neither built in 1929 nor in Queensland.